It's true... if it has a shopping bag or croissant on the cover and contains the word "chic," I probably own it. I love Paris. I first visited as a young child. My (very lucky) cousins were living in an apartment on the Right Bank at the Pont De L'Alma (bridge where Princess Di was later killed). My Uncle was assigned there as a correspondent with ABC News. I clearly remember walking up the stairwell of their centuries-old apartment wondering if they lived in a beautiful museum of some kind. I recall the wide planked wood floors, the mysteriously beautiful stairwell, and the grand doors that opened to their French kitchen. Playing in my cousin's bedroom, I distinctly remember gazing through a window that framed the Eiffel Tower. I could not have been older than maybe 7 but I remember being profoundly moved by this view. It did something to me. I didn't know people could live surrounded by such beauty. Before I was born, my mother studied French in college and lived in Rennes with a family for some time before taking a job teaching in French-speaking Switzerland (Montreax). Growing up in the suburbs of Detroit, I knew my mom connected more with a European sensibility than our culture in the 'burbs. She never did things like other moms (which now I realize was actually cool. Sorry for those lost years, mom). We ate organic meals before they were ever called that (no packaged stuff). We stored our butter at room temp to keep it soft. She drank champagne as an aperitif. She danced and laughed and sang often. Still does. VERY Parisian. We took frequent trips to Europe and spent some time living abroad when I was young. Up until I went to college, she subscribed to Paris Match magazine and read it every week to keep up with her French. I suppose I just absorbed it somehow. Some people even tell me I look French. I nod and say, "Merci." After that first trip as a young girl, I returned to Paris several times. Once our family rented a beautiful home in Dinard and we spent time at a farm where my mother's friends lived. For my 20th birthday, I met my parents in Paris while I was living in Spain. And then a few more trips in my 20s where I discovered places like Buddha Bar where I'm sure I tried to look Parisian and smoke cigarettes (again, sorry, Mom). I could do nothing but walk the streets of Paris in wonder. I love the gravel walkways, the bumpy stone streets, the little cafes with seating outside facing the streets under little heat lamps. I love that beauty is so inherently a part of their culture. It is the essence of Paris life. As someone that goes through life profoundly effected by their surroundings, Paris just does it for me. I'll take New York's energy and raw grit, but nowhere is as mysterious and beautiful as Paris. Funny enough, my most followed board on Pinterest is related to Paris and New York street style. I am somewhat obsessed with how a Parisian woman pulls herself together. Which brings me to design. I tend to be more loose and relaxed in what appeals to me as far as interior space. The French make due with what they have...small spaces...inherited, old apartments. But they make it beautiful. Part of the trend I think in this country is headed in the direction of smaller homes, more European-minded multi-functional living spaces. Check out the "Not so big" series which started as the Not So Big House, A Blueprint for the Way We Really Live. But this post is about dreaming - of all things Parisian. 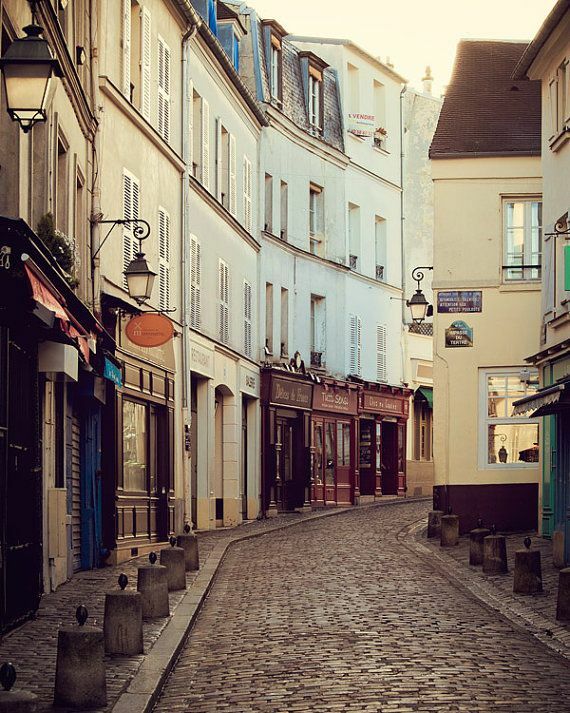 Here are some of my absolute favorite Parisian dwellings that just embody their spirit of living. The great thing about this sensibility is that no one is excluded. You don't need fancy stuff. You don't need lots of stuff. You don't need to be in 'that' club or drive that car or live in that zip code. You just need a point of view and an open mind. Slow down, take notice, and allow yourself to create a space that somehow inspires you. That would be the Parisian way.